Before Samsung launches another smartwatch this year, you might want to check out some of the current models that are selling like hotcakes in the United States. The Gear S3 frontier is now on sale on eBay for less than $200, which will save you no less than 50% if the smartwatch's MSRP. There's a catch though, as the product comes in an Open Box. Basically, this means that while the smartwatch and all the accessories are brand new, the packaging may be slightly distressed. If that doesn't bother you, then you'll be able to grab the Samsung Gear S3 frontier for just $199.99. The eBay seller claims it has already sold 3,333 units and that the Gear S3 frontier is available in limited quantities at such a low price. Also, it's worth noting that shipping is completely free if you don't mind a 4-day delivery. The Samsung Gear S3 frontier comes in a durable stainless-steel case and features a black sport band. 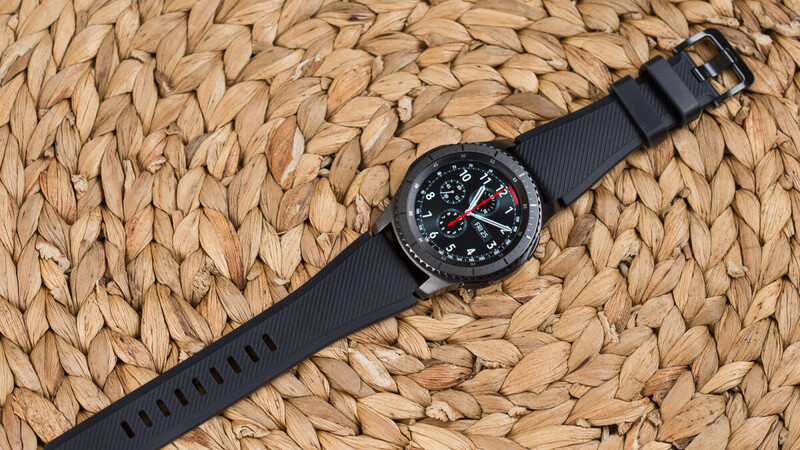 The 45mm Gear S3 frontier's band is made of silicone and rubber, but don't strap it too tight on your wrist, especially if you plan to keep it there over long periods. If you're undecided on whether or not Samsung's smartwatch is really worth the money, you can check our full Gear S3 frontier review for more details on how it performs in real life. Good deal even absent the LTE. I have both and the LTE version can stand-in for the phone in a pinch or for extended periods. Over the past twelve months the S3 Frontier has proven itself indispensable. I'll put it on as soon as I get up so as to get credit for every step over the course of a day. Battery should last the wearer most of a busy day. I don't heavily tax my watch's capabilities most days but during those times I do I'll have to place it on the charger for maybe a half-hour if circumstances allow. Wearing it to go surf fishing I found that the S3 Frontier was crediting me with steps from the compact reeling-actions I was performing while using up the battery so I stopped wearing it at those times. All in all this Gear S3, whether LTE or not, is a fine device. Man! That's a good price! I wish I had waited a few more months to buy mine. I paid $250 US for mine which was a good deal at the time. At $199, The watch is totally worth it since it is only $50 more than the TicWatch E.
rather than 'jump thru hoops'.. Costco has that Gear 3 Frontier on sale until today July 7 for $249.99 .. for the extra 50 bucks at least you'll have peace of mind with Costco's return policy..